We are finished with Jack’s Invisalign treatment and are thrilled with the results. 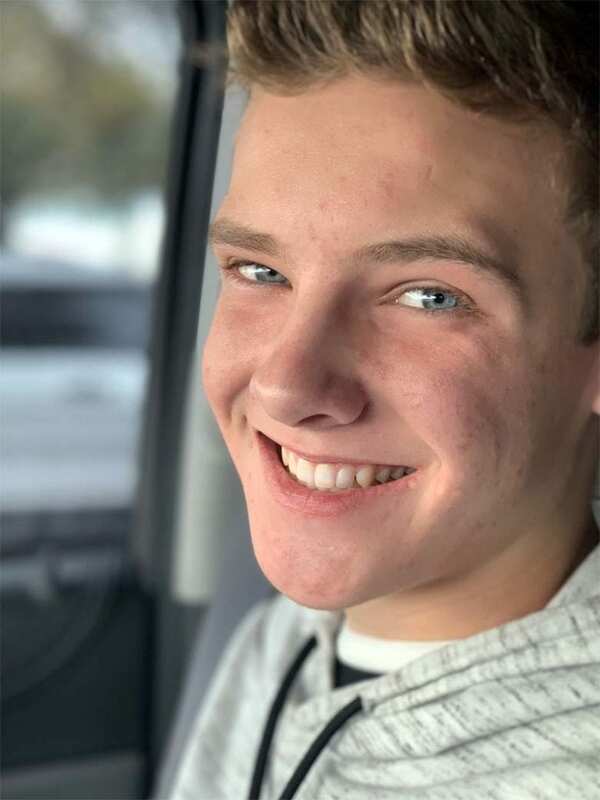 He wore his aligners for quite some time but he’s still happy that he chose them over braces and loves his new smile. If you haven’t seen all of our Invisalign posts, you can read them here. I’ve written about the consultation process, shared some gift ideas for people starting Invisalign, and talked about what I’d say to moms who are thinking of getting Invisalign for their kids. A popular post is the one I’ve written about Invisalign Secrets–all of the questions people ask me, including if it hurts and how much it is. This post, Our Invisalign Results, is sponsored by Invisalign. 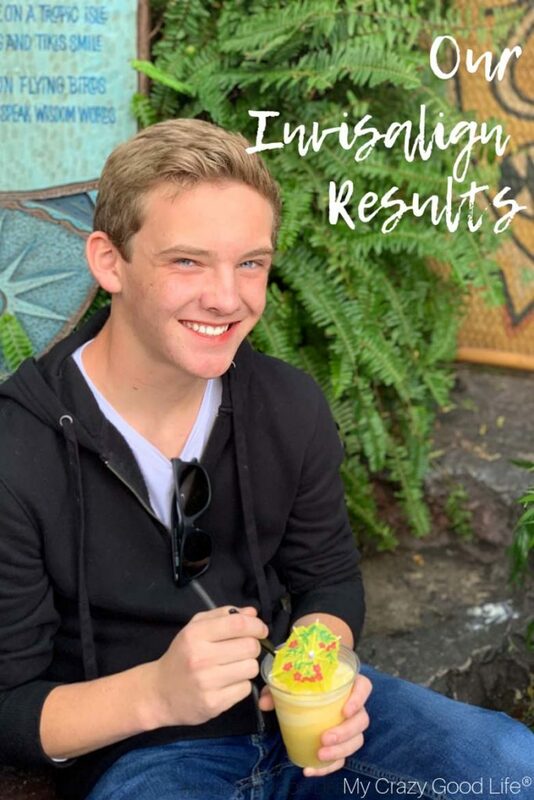 Jack started Invisalign treatment at the end of 2016 and continued until December 2018. His took a bit longer than most treatments and we knew this when we started. Jack didn’t have much cosmetic movement that needed to happen, but he did have quite a bit of movement needed for his back teeth. Did he wear rubber bands? He did! Jack wore rubber bands for about half of the time he had aligners. He wore them mostly at night, but there was a bit of time that he had to wear them during the day. 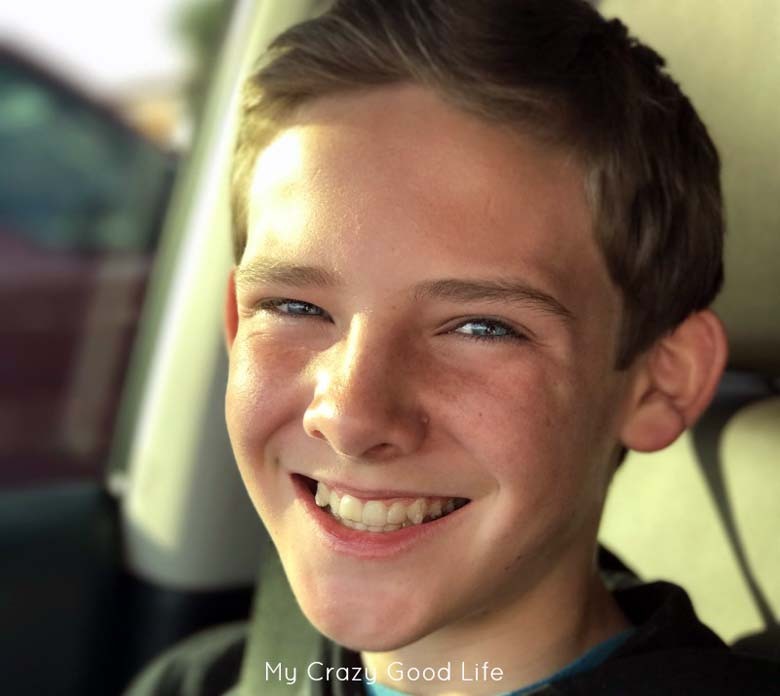 Our Orthodontist in Tucson was great about understanding that Jack is in middle school and appearance is important. 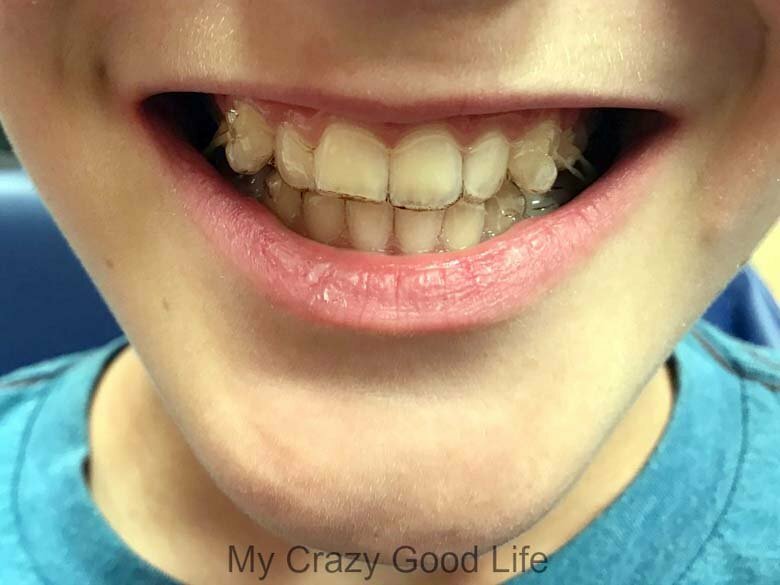 When possible, our Orthodontist told Jack to wear the rubber bands from right after school until the next morning–taking them out to eat and brush, of course. Did he lose his aligners? Only once. We ended up finding them in a garbage bag in the garage after they were thrown away. He didn’t realize it for a few hours, so we spent quite a bit of time looking for them until he remembered that he wrapped them in a napkin when he ate breakfast. Routine is huge when wearing aligners–Jack was used to placing his aligners on a paper towel next to the sink every morning. If we weren’t home (which is what happened the time he lost them) or if others were around (this also happened that time when he lost them), the aligners were more likely to be accidentally misplaced or thrown away. Going out to eat was always a challenge, because we didn’t carry his case everywhere and ended up relying on napkins to wrap the aligners in. We found that it was easiest if he gave them to the adult at the table to hold for him. Did he wear his aligners every day? Ummm no. I wish I could say yes but there were days that I found them sitting on the counter after he left for school, as well as nights when he was fast asleep and they were (again) on the counter. His Orthodontist said he was pretty lucky though, because he never would have guessed Jack skipped a day. He wore them pretty religiously for about 18 months, then we struggled a bit for the last 6 months. Honestly, I think at that point he was just done–it’s a lot of commitment for a 14 year old! We are waiting on our official before and after photos of Jack’s smile, but I do have these to share.